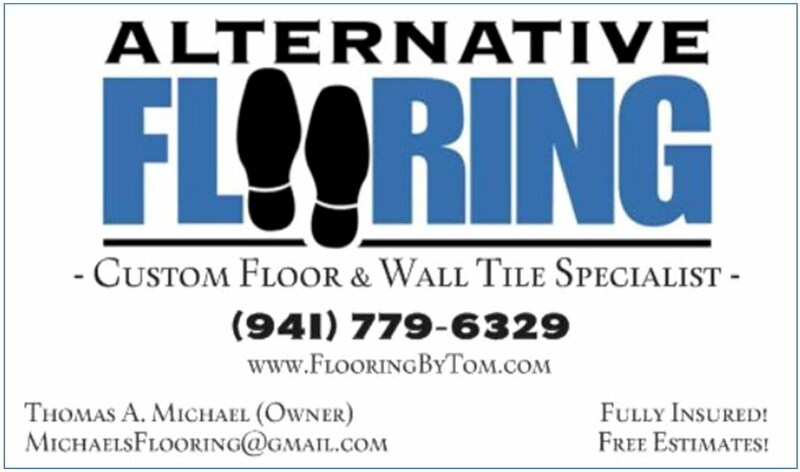 Alternative Flooring is an exceptional team of master tile installers. delivering design consulting and installation of flooring and wall tile. Choose Alternative Flooring when you want the skilled craftsmanship of tile experts with almost 20 years of satisfying nearly a thousand residential and commercial customers! We are proud of earning and average of 4.5 stars in customer satisfaction ratings. We go out of our way...we're way beyond standard flooring installation teams. We only do it the right way...so it saves you money in the long run. We concentrate on the best approach for each customer, which results in the best value overall for the project. 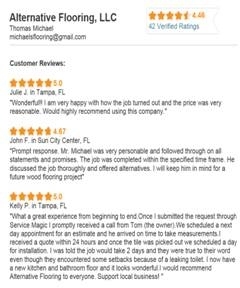 We have proven high integrity & customer confidence; many customers are very comfortable with us installing flooring when they are not in Florida. We bring samples to your home or commercial location. We have access to showrooms to assist you with product selection. which includes a rigorous screening process, including criminal background checks, and state-level trade licensing when applicable.